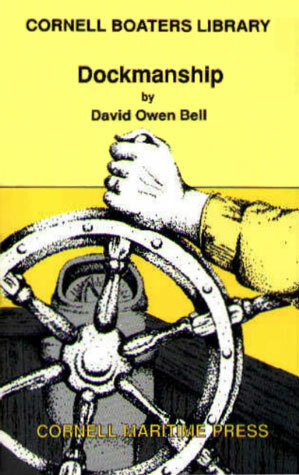 Dockmanship, according to author Bell, is "the art, skill, and practice of safely berthing and unberthing a vessel." Anyone who has ever spent time observing the action at a marina or boat ramp will concede that the docking practiced by many recreational boaters today can hardly be considered an "art." Here is a book that provides the information to turn any skipper—even a novice—into a master of docking. Captains who feel they already perform well behind the helm will enjoy reviewing the standard and advanced techniques contained in this easily understood manual. The basics of rudders, propellers, lines, and fenders used on small to medium-sized boats are completely explored. For each type of propulsion (inboard, outboard, single-screw, double-screw, and sail), techniques are described for maneuvering port side to, starboard side to, stern in, and bow in, and for getting away and handling the boat in close quarters. The author also clarifies the effects of wind and current.